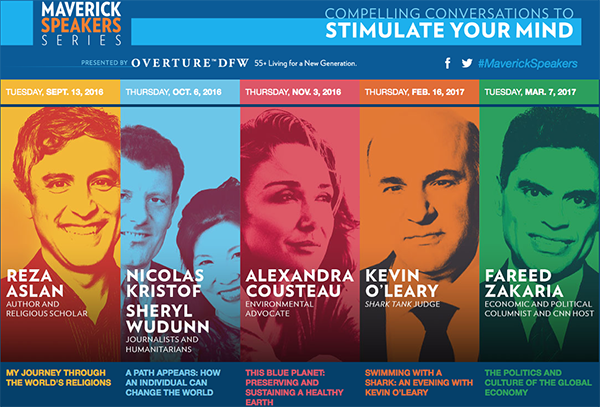 Internationally renowned journalists, an environmentalist, and a TV venture capitalist headline UTA’s 2016-17 Maverick Speakers Series, presented by OVERTURE DFW, a 55+ living for a New Generation community. Best-selling author Reza Aslan opens the series Tuesday, Sept. 13, followed by Pulitzer Prize-winning journalists Nicolas Kristof and Sheryl WuDunn Thursday, Oct. 6. Other guests include Kevin O’Leary of ABC’s Shark Tank, CNN political commentator Fareed Zakaria, and environmental advocate and filmmaker Alexandra Cousteau. The new season also brings new ticket options. Students, faculty, and staff may still attend the lectures at no cost. Now in its ninth season, the Maverick Speakers Series features thought-provoking conversations led by diverse voices for the University community. Read more about the 2016-17 Maverick Speakers Series. Teresa Taber Doughty, Purdue University’s associate dean of learning and a nationally recognized leader in special education, autism, and other developmental disabilities, joins UTA as dean of the College of Education on Aug. 1. Dr. Doughty brings more than 30 years of experience as an educator, faculty member, and university administrator, and as teacher to children with disabilities in Alabama and Georgia. 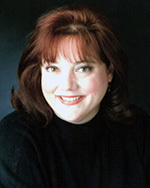 She has held faculty positions at Georgia State University, Oglethorpe University, and Purdue University. Resources are available to students who feel stress and anxiety about the recent Dallas tragedy or other events. UTA students can find help 8 a.m.-5 p.m. Monday-Friday at UTA's Counseling and Psychological Services. Call 817-272-3671 or go to Room 303 in Ransom Hall. After hours, call the 24-hour MAVS Talk Crisis Line at 817-272-8255. 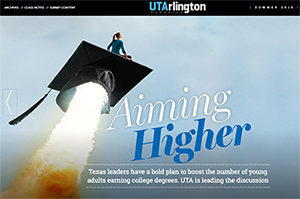 Take an in-depth look at the innovative solutions being developed on campus to help increase the number of Texans earning college degrees and advanced certificates in the summer issue of UTArlington Magazine. The online magazine offers enhanced digital content and the opportunity to post comments. You also can “like” the magazine on Facebook and receive updates in your newsfeed. The Office of University Recruitment is hiring students as MavElite tour guides at the Dan Dipert University Welcome Center (SNAP Job ID #9083). The application deadline is Wednesday, July 13. New tour guides will start at the beginning of the fall semester. 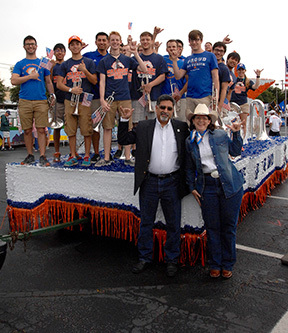 Read the latest comments by President Vistasp Karbhari in Mav Milestones on meeting with UTA alumni and the annual 4th of July Parade. UTA won first place in the professionally decorated float category for the parade. See more parade photos. Make your entries in the new UTA events calendar complete by choosing categories for event type, department, and audience. Add a website or Facebook address, tags and hashtags, and a photo or graphic. Find the new calendar at events.uta.edu and read more on the introductory page. Please direct any questions or concerns to Daniel Evilsizor, director of online communications, at daniel.e@uta.edu. A new class of students is needed for the Leadership Honors Program, a multi-year, flexible leadership development program. For details, go to the Leadership Honors Program website or contact Lan Ahn Nguyen at lananh@uta.edu. Four parking areas will be used on game days when the Dallas Wings play at College Park Center. Read more. First day of classes for second five-week summer session. Last day to drop classes for 14-week summer session; submit requests to adviser prior to 4 p.m.
Late registration for second five-week summer session. Census date for second five-week summer session. First five-week summer session grades final after noon. Last day to drop classes for 11-week summer session; submit requests to adviser prior to 4 p.m.
Last day to drop classes for second five-week summer session; submit requests to adviser prior to 4 p.m.
Last day of classes for 11-week, 14-week, and second five-week summer sessions. Final exams for 11-week, 14-week, and second five-week summer sessions. Final grades for the first five-week summer term are scheduled to be available after noon Wednesday, July 20. View grades by logging in to MyMav. When the grades are official, a notice will be posted on the MyMav website. Grades are sometimes viewable before all end-of-term processes are completed, so check that they have been announced as official. You can hold your transcript order for final grades. Registration continues for the second five-week summer session and fall semester. Advising is available in your academic department. The MyMav schedule of classes is being updated daily. Plan to validate your course selections closer to the start of the session. All new students and those not enrolled in the spring term will be dropped from summer sessions without proof of meningitis vaccination. As of Jan. 1, 2012, incoming Texas college students and students returning after an absence of at least one fall or spring semester who are under 22 years old must submit documentation of immunization against bacterial meningitis. You must have received the vaccine within the past five years and no later than the first day of your first session at UTA. Students who fail to meet this requirement will be dropped from courses. UTA has contracted with Magnus Health SMR to collect student vaccination records, verify the documents, and maintain the records in compliance with federal privacy laws. For more information, visit UTA's meningitis website. Enrollment verification is available online. To print your verification, log on to MyMav, go to the Student Center, and click on Request Enrollment Verification to access the National Student Loan Clearinghouse. UTA now offers transcripts in PDF format. Students can send PDF transcripts by email to another university, a potential employer, or themselves. Read about ordering transcripts on the UTA transcript website. Free Outdoor Movie Bring a chair or a blanket, a picnic, and friends for outdoor movies each Thursday. Free popcorn. 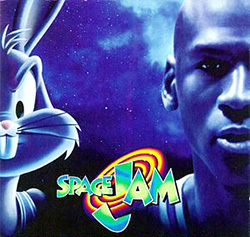 Upcoming movies are Space Jam (PG), July 14; The Boss (R), July 21; and The Jungle Book (PG), July 28. Free. 9 p.m., lawn behind the Maverick Activities Center. EXCEL Campus Activities. Dallas Wings Women's professional basketball. Tickets $25-50. College Park Center. Upcoming games are vs. Minnesota Lynx, 3:30 p.m. Sunday, July 17; vs. Connecticut Sun, 11:30 a.m. Wednesday, July 20; vs. Chicago Sky, 3:30 p.m. Sunday, Aug. 28; vs. Los Angeles Sparks, 7:30 p.m. Friday, Sept. 2; vs. Washington Mystics, 3:30 p.m. Sunday, Sept. 4; and vs. New York Liberty, 3:30 p.m. Sunday, Sept. 11. Dallas Wings. Visual Resources Gallery: 'Ritual and Animism: Visual Investigations of the Soul and Supernatural in African Art and Artifacts' See how animals are part of life and the afterlife in artwork and artifacts from the Campbell-Dowdey and Brodie African Art collections. Gallery hours 8:30 a.m.-5 p.m. Mondays-Fridays. Through Aug. 26. Visual Resources Gallery, Suite 2109, Fine Arts Building. Art and Art History. Planetarium The summer schedule includes Dynamic Earth; One World, One Sky: Big Bird's Adventure; Pink Floyd; Secret of the Cardboard Rocket; Spacepark 360: Infinity; Texas Stargazing; and We Are Astronomers. Through Aug. 28. Planetarium. CAPPA Gallery: 'End of Year Show' A selection of student works from the architecture, landscape architecture, and interior design programs. Gallery hours 9 a.m.-5 p.m. Mondays-Fridays. Second floor gallery, CAPPA Building. Through Aug. 31. Architecture, Planning and Public Affairs. UTA Libraries: 'Academic Evolution: The University of Texas at Arlington' An exhibition of UTA's academic history. Through Aug. 31. Sixth floor, Central Library. UTA Libraries. UTA Libraries: 'Building a Barrier-Free Campus' Explore how UTA began to become a model accessible campus for students with disabilities. Sixth floor parlor, Central Library. Through Sept. 16. UTA Libraries, History, College of Liberal Arts’ Festival of Ideas, Office for Students with Disabilities. Paralympic repeat: Junior Tobi Fawehinmi will compete with Team USA in track and field at the 2016 Paralympic Games Sept. 7-18 in Rio de Janeiro, Brazil. At the 2012 London Games, Fawehinmi finished fifth in the triple jump. Read more. 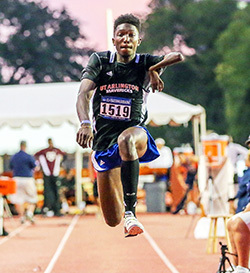 Former UTA sprinters Clayton Vaughn and Quentin Butler finished ninth and 12th, respectively, in the 100 meters at the Track & Field Olympic Team Trials in Eugene, Ore. Read more. Catherine Matranga is the new assistant coach for the women's golf team. UTA women's golf begins play at the start of the 2017-18 season. Read more. The Maverick volleyball 2016-17 schedule is online. The Sun Belt Conference Volleyball Championship will be Nov. 18 at College Park Center. Read more. Upcoming intramural sport deadlines are badminton, today, Tuesday, July 12; basketball, July 13; poker, July 21; and MavStrong, Aug. 11. See the intramural sports schedule. 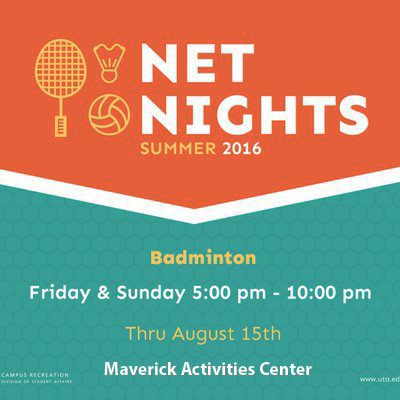 Pick up entry forms at the Services and Information Desk of the Maverick Activities Center. For questions, call 817-272-3277 or email imsports@uta.edu.